Stay in the know! 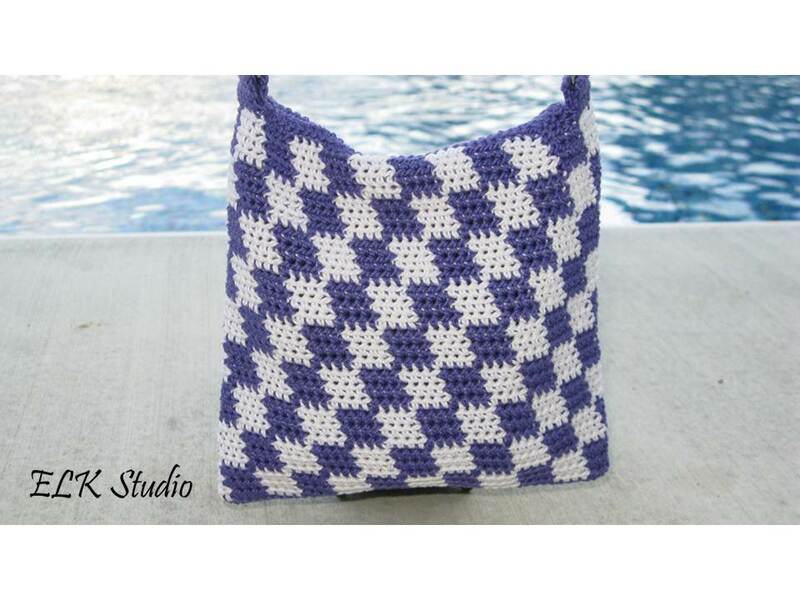 Hear about my latest pattern releases both FREE and PAID when you sign up for my newsletter! It’s time for another ELK Studio’s Saturday Crochet Show! 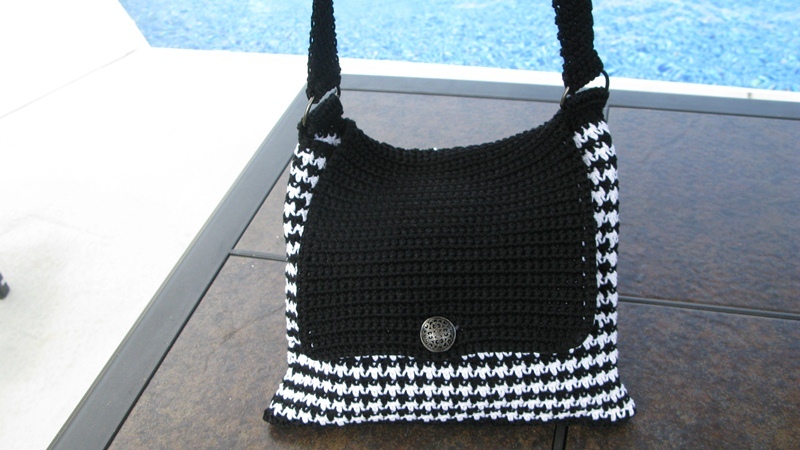 In this Saturday Crochet Show you will find different variations of the market tote/bag, or beach tote/bag. These are so much fun to make. 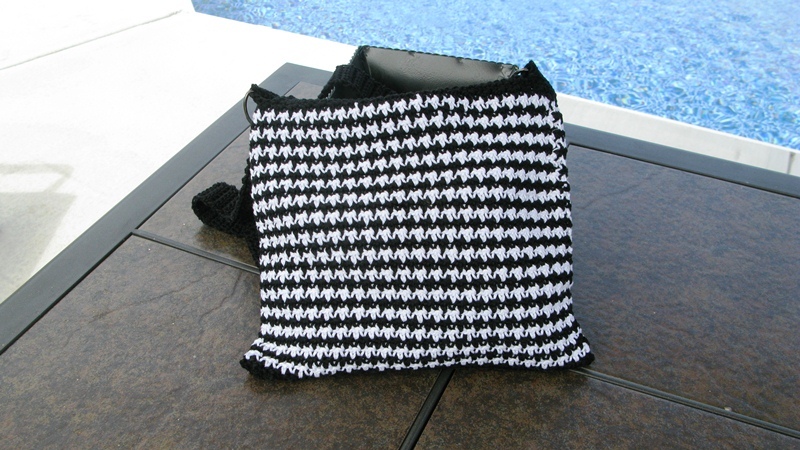 They are great stash busters and there is definitely no wrong way of making your own tote. They are versatile in use and can be used for anything you’d like. I love how colorful these all are. They are beautiful and eye appealing. Getting these Crochet Projects Done!!!! I feel pretty darn good about getting all the projects finished! Just imagine me doing the dance and don’t laugh because you know exactly what I’m talking about. Since having finished my 3 week long project, I’ve been able to whip through these others. 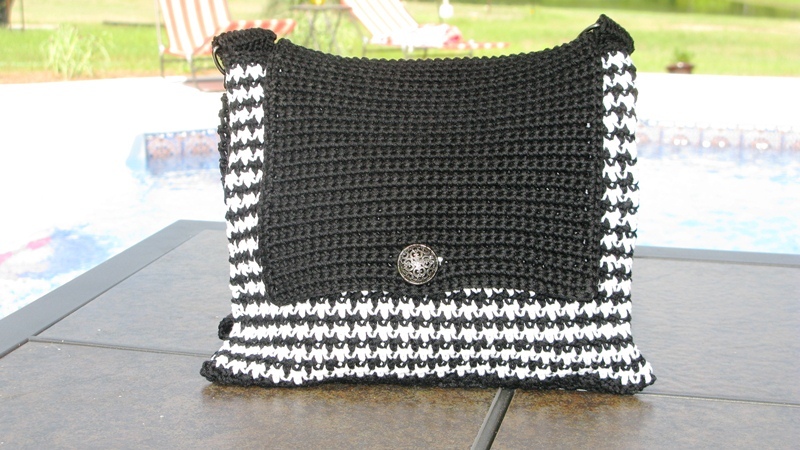 I finished another summer beach hat but there’s no need to show it since it was black and you’ve seen that color. 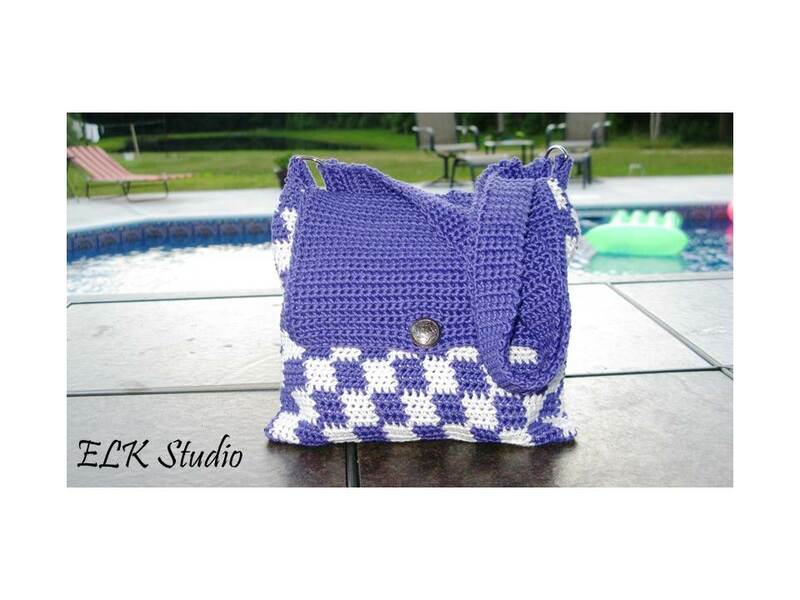 I did finish this purple summer checker tote today though and wanted to show you guys. I really like the color too! Everyone have a blessed night! 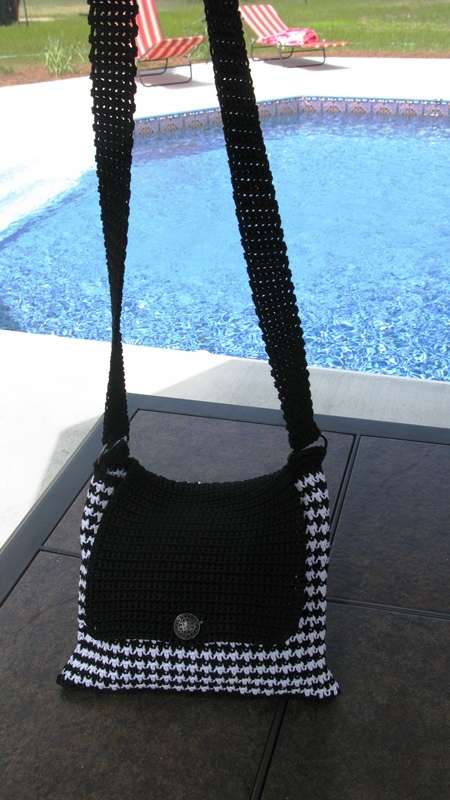 Since finishing the altered version of my Summer Checkers tote, I’ve been really busy trying to finish up some other custom orders. I actually love custom orders because it gives me a chance to use my creativity and I don’t get bored as quickly (at least most of the time). 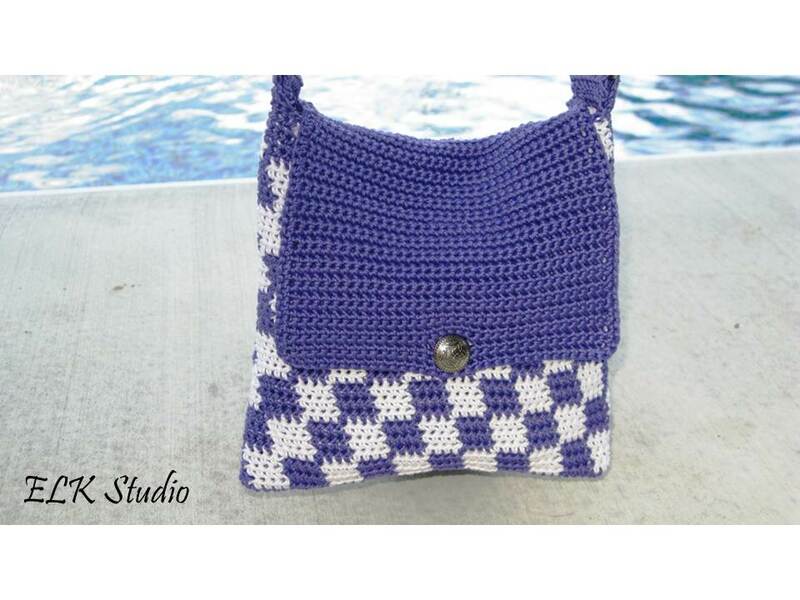 I received this custom order for a Hounds tooth bag from an Alabama fan. I think it turned out really well and although as you know I must be an Auburn fan since graduating from Auburn University last month, I really wouldn’t mind having a bag like this for myself. it’s super cute. A few people have inquired about a pattern on my ELK Studio’s Facebook page and another crochet group I am a part of, but wondered how much interest is from my blogger friends? Let me know your thoughts! !